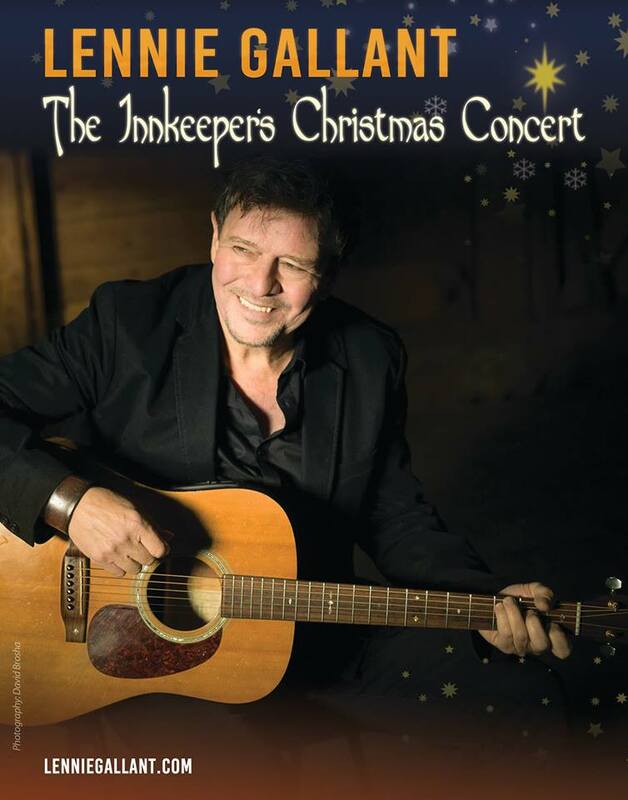 Lennie Gallants Christmas concert is named after the artists much loved Christmas song, ‘The Innkeeper’. The concert will feature original Christmas songs penned by the prolific bilingual artist as well as many of the songs from his exciting new album, Time Travel. Gallant also has a brand new Christmas single and video out called Christmas Day on Planet Earth. There will be several guest artists in the show including Patricia Richard, one of the stars from Ode à l’Acadie. The concert will be Gallants first in Moncton since his sold out Capital Theatre appearance with his hit multimedia show, Searching for Abegweit. This time around he is looking for an intimate setting that promises to be a special celebration of Christmas as well as a showcase for the critically acclaimed new album. The concert will also feature members of Gallants stellar band, Jeremy Gallant, and Sean Kemp.